Green route to JFK for trip to CES, hopefully we make our 9:30am flight! 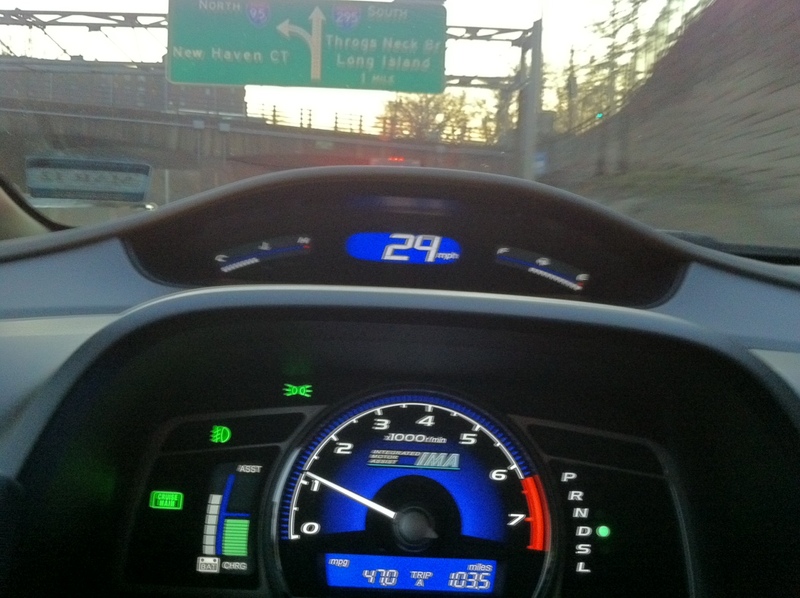 We seem to have broken all mpg records for our drive from CT to JFK this clear morning, pretty green driving. 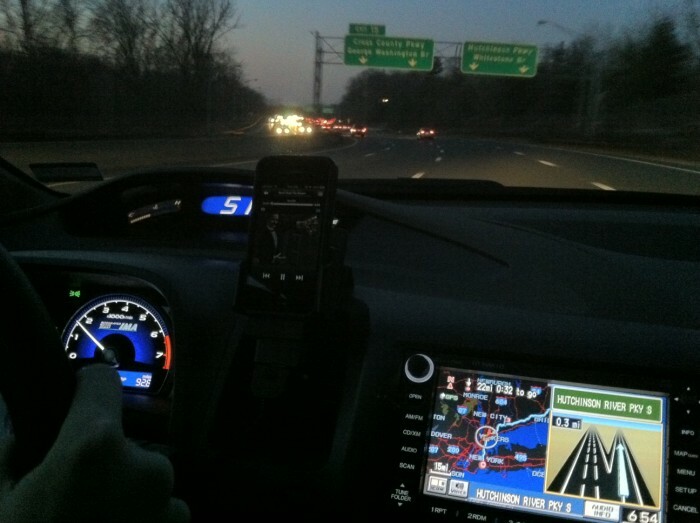 Yes, I'm just the copilot for this drive. Now let's hope the last 15 miles go smoothly!